The Great Han is an ethnographic study of the Han Clothing Movement, a neotraditionalist and racial nationalist movement that has emerged in China since 2001. Participants come together both online and in person in cities across China to revitalize their utopian vision of the authentic “Great Han” and corresponding “real China” through pseudotraditional ethnic dress, reinvented Confucian ritual, and anti-foreign sentiment. Analyzing the movement’s ideas and practices, this book argues that the vision of a pure, perfectly ordered, ethnically homogeneous, and secure society is in fact a fantasy constructed in response to the challenging realities of the present. Yet this national imaginary is reproduced precisely through its own perpetual elusiveness. 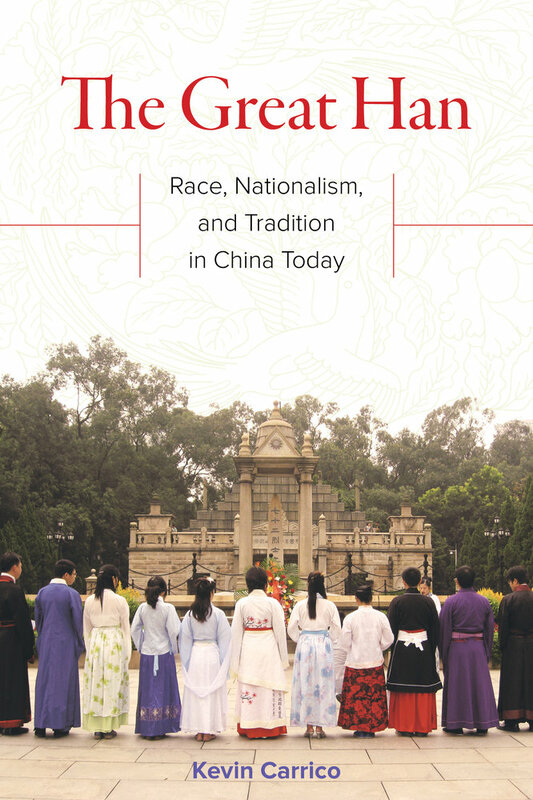 The Great Han is a pioneering analysis of Han identity, nationalism, and social movements in a rapidly changing China. Kevin Carrico is Lecturer in the Department of International Studies at Macquarie University and the translator of Tsering Woeser’s Tibet on Fire.